Our article is out at the newsagents in “Thats Life Magazine” or should I say Chloe’s article is out. Not only does Chloe take over the whole article she also has made sure most of the photos are her!!!! They say you should never work with children or dogs – I say you shouldn’t work with your Sister!!!! 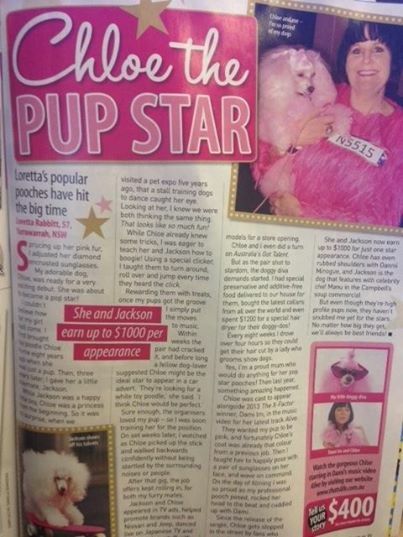 Its a great article though and Chloe does look great in pink. I still have something up my paw which will be out at the start of August and Chloe will be fuming as she is definatley not in it. Chloe thinks she’s the only international superstar!! !